Looking for something to do with little ones under 5? 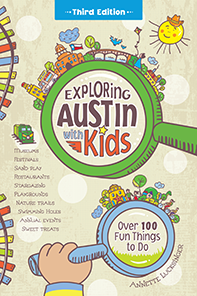 Come learn about animals that live at night and find out where you can spot them in Austin, dance to animal-themed music, create a bat craft and get your very own signed copy of Exploring Austin with Kids! Free event at the Rhythm Studio - Wed. 9/3, 10:00 am!